It's a fantastic feeling when you pick that first ripe tomato or courgette etc. 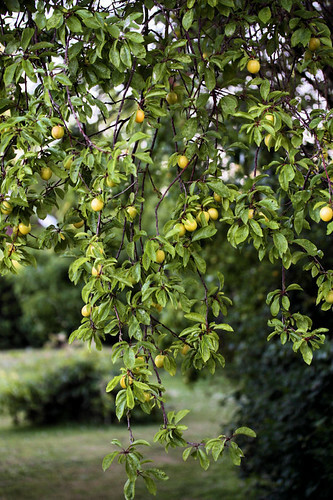 All the sunshine we had a few weeks ago has done wonders for the garden, and here are a few things we are picking now. I've saved the best until last - artichokes! 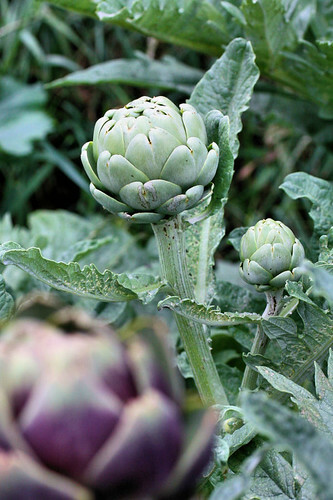 For many years, the only vegetable that my youngest son would eat was the artichoke, so my husband decided to grow some from seed. These have been patiently growing for 3 years now and we have at last been rewarded with a bumper crop of beauties. About three years ago, when he was 12, the son went on a school trip to the French Alps. While his friends were shopping for trinkets and novelties (and mainly chocolate!) 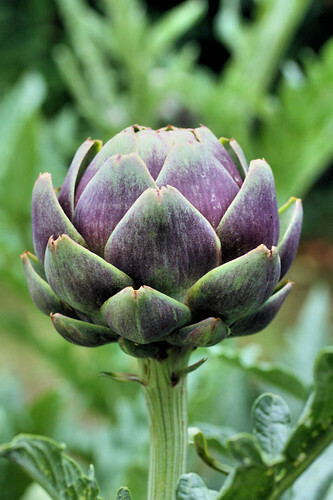 to bring back home, he found a vegetable stall in the market selling artichokes. He proudly came home with two huge ones. Hope he still likes them! Beaautiful and inspiring photos Nic. Makes me want to have my garden again. The purple artichoke looks like a painting - so so pretty. and now i shall mourn my lack of a green thumb even more. gorgeous pics! Your garden looks plentiful! I'm jelaous because we can't really grow anything effectively in Nevada with 115'F heat....It looks GREAT!!! What a gorgeous set of photoes, everything growing so beautifully, and what a magic son you have! I want to come to pick with you Nic...fabulous. How satisfying to grow your own! Love how the lad got back the artichokes. 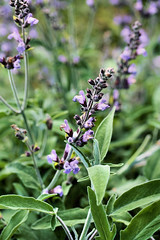 Lov the herbs too. 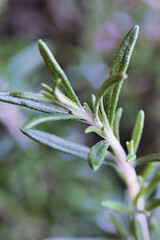 Promise to mail me some herb seeds when they get ripe? Pretty please! ♥, & lots of it!! Your garden is full of plenty yummie vegetables! The courgettes look perfect! Lovely pictures from your lovely garden! Your garden looks amazing! 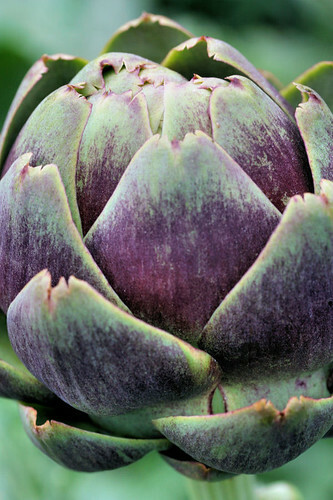 Especially the artichokes which I love, I've never prepared a fresh one though, is it easy to do? They are indeed beautiful beasts! 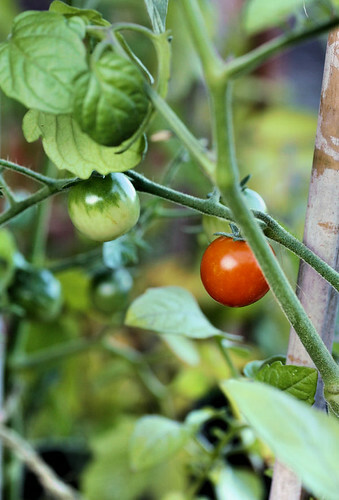 We are still waiting for our tomatoes to ripen in our tiny patch...I keep checking on them everyday. 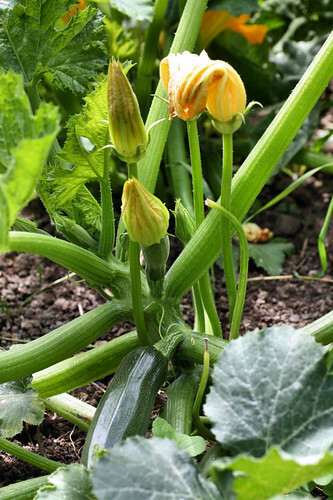 The few courgette plants have started to flower too. Thanks for all the comments, much appreciated! Lovely, lovely garden. Everything looks lush and wonderful. 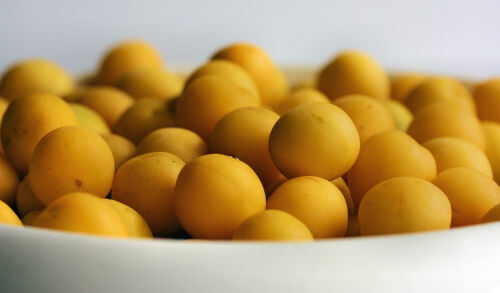 As much as I love artichokes, I am entranced by the mirabelles. I've only seen them jammed and jarred around here. Oh wow - artichokes!! Were they hard to grow?? My husband LOVES them... We had a really good crop of tomatoes this year (after last year's dismal failure to ripen), also masses of sage and basil. Might try courgettes next year!